Hello readers, here is the latest update from behind the scenes at FastKlean Cleaning Company. 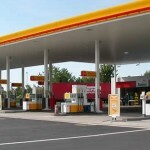 We recently received a call from the managers of a building company in Manchester who requested a quote for a group of after builders cleaning specialists to visit a new Shell petrol station being built in North London. One of our representatives paid a visit to the petrol station to take a look at the potential workload and calculate an accurate quote for the job, which also includes window cleaning. The managers of the building company were more than pleased with what we had to offer and we are expected to start this weekend. The after builders cleaning experts will be accompanying the construction workers throughout the majority of the building process. Working as a solid unite, our highly skilled and experienced cleaners will be clearing out all the dust and debris from the site at the end of each day. Once the construction workers have packed their tools for the very last time, our after builders cleaning unit shall remain on the site to perform a really thorough clean up of the new petrol station, making sure that every bit of dust and debris is removed from all the nooks and crannies. Once all the heavy mess is vanished from the site, they will perform a sparkle clean as well as our top quality window cleaning. If you are the manager of an establishment that is currently undergoing a remodel or you are opening a new branch from the ground up, then do not hesitate to call a reputable cleaning company that can supply a team of reliable and hard-working after builders cleaning specialists. We provide a wide range of cleaning services in Greater and Central London. For after builders cleaning Ponders End call 020 8884 9149 for a free quote or to arrange a site meeting with one of our representatives.